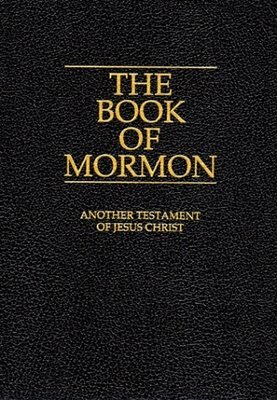 The Book of Mormon is a record of the Savior’s teachings to His “other sheep”–the ancient inhabitants of the Americas. it is a volume of scripture that God prepared for over a thousand years to come forth in our day, and it is a second witness, or testament, of Jesus Christ. It includes the spiritual history of the descendants of a prophet, Lehi, who lived at the time of Zedekiah’s rule in Jerusalem. Lehi was warned of God that Jerusalem would be destroyed, and was told to flee the land. The Book of Mormon includes a moving account of the Savior’s literal appearance on this continent after His resurrection. The record was translated by Joseph Smith through the gift and power of God. It stands as a second witness, with the Bible, of Christ’s love, divinity, sacrifice, and teachings. The Book of Mormon preserves records of three ancient peoples who came to the Americas and flourished. The high point of the book rests in the account of a three-day visit by the Risen Jesus Christ, a narrative that is unequaled in ancient literature. In the end, except for one group, all were destroyed by war. O ye fair ones, how could ye have departed from the ways of the Lord! The first pages of the Book of Mormon open onto a scene in Jerusalem about 597 BC, soon after King Zedekiah ascended the throne of the kingdom of Judah. A man named Lehi, called by God in a vision, joins other prophets in warning the city’s inhabitants of a pending disaster if they do not repent. But after hearing this message for thirty years from Jeremiah, people were not in a mood to respond warmly. Instead, many turned against Lehi, forcing him to flee with his family into Arabia. From there, his party makes its way to the New World. Thus begins the grand saga of the book, tracing many of the triumphs and hardships that descendants of this family experienced over a thousand-year history. The Book of Mormon offers its own promise to those who read its pages “with real intent.” If a person will ask God “with a sincere heart” whether the book is true, God “will manifest the truth of it” to the earnest inquirer (Moroni 10:4). S. Kent Brown, Voices from the Dust: Book of Mormon Insights (American Fork, Utah: Covenant Communications, 2004).